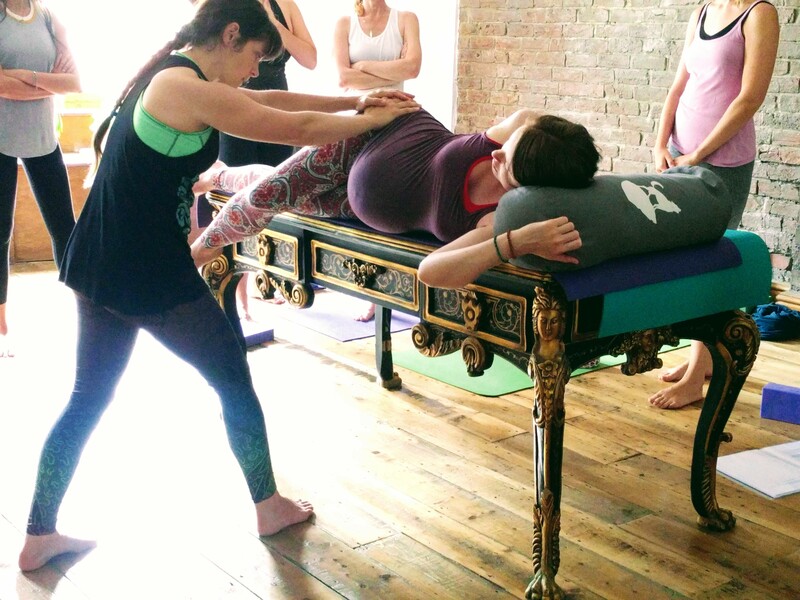 Learn how to teach Poppy Perinatal Yoga, a revolutionary approach to prenatal and postnatal yoga. 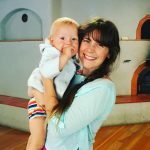 Ideal for anyone working to support birth-givers through pregnancy and the post-birth period, whether as a yoga teacher or birth-worker – and for anyone who is themselves pregnant or post-birth. This course offers a chance to learn a range of supportive yoga and meditation techniques. 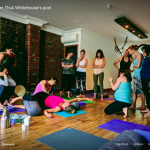 Available as a residential or non-residential course, this 5-day Poppy Perinatal training programme offers a comprehensive toolkit, including daily meditation and breathing exercises, prenatal and postnatal yoga classes, hands-on assist workshops, and vital information for teaching pregnant and postpartum students/clients. And for those who are pregnant or post-birth, the pranayama and asana practices will meet you where you’re at. You will learn how to support yourself. 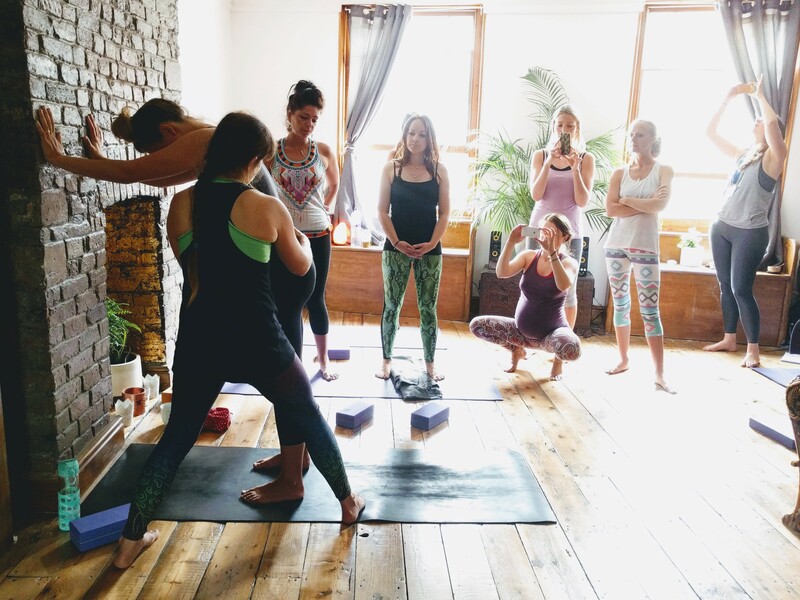 The Poppy approach is Forrest-inspired and incorporates specialised exercises to support pregnancy and postpartum healing, including diastasis recti, pubic bone pain, prolapse, caesarian and more. 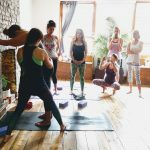 The 5-day version of the Poppy Prenatal and Postnatal Yoga Teacher Training is offered as a vocational training with Yoga Alliance Professionals UK. You can take this training as a yoga teacher or birth worker, with or without yoga teaching certification (e.g. nurse, doula, midwife), and receive professional accreditation from Yoga Alliance Professionals UK upon successful completion. The training is also accredited as a continuing education training for yoga teachers with Yoga Alliance USA. There will be 34 contact hours taught over five days plus 6 hours of coursework. 100 per cent attendance to the face to face training and completion of coursework is required for Yoga Alliance accreditation. The training starts at 3pm on Saturday 25th May (you can check in from 2pm) and will finish around 2pm on Wednesday 29th May after lunch. There will be a couple of evenings of training during the course, so if you are booking as a non-residential participant, please keep your evenings clear. Maximum number of trainees 10 people. Some additional partners or non-yoga support people may be able to stay subject to space. There are a limited number of single rooms available at a supplement. Visit our Bookings Page to confirm your place now. Daily Prenatal/Postnatal Yoga and Meditation Sessions. Tailoring poses for various needs and conditions during pregnancy. Designing class sequences for different types of prenatal and postnatal classes, whether relaxing or athletic. Use of yoga practices to relieve pain, discomfort, anxiety, depression that could accompany pregnancy and postpartum. Understanding the anatomy and physiology of pregnancy, childbirth, and postpartum and applying that knowledge to help prenatal and postnatal students. Helping people connect emotionally, physically, and spiritually with themselves and use those connections to help prepare them for pregnancy, childbirth, and postpartum. 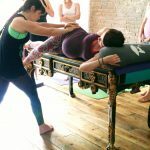 Hands-On Assists Clinic: learn and practice enhancement, or supportive, or pain-relieving techniques. No one technique works for everyone; adapt techniques that work best for the individual. Sequencing Practicum for class sequence designs that can help bring relief to prenatal and postnatal people with certain conditions such as pubic bone pain, back pain, swelling, nausea, blood pressure issues and fatigue. * Non training partner or support person sharing twin or double room £399 (4 nights in a shared twin room, all meals from dinner on Saturday to lunch on Wednesday). Either pay in full or pay a 50% deposit now, remainder due 1 month before the training starts. Payment plans possible by arrangement.